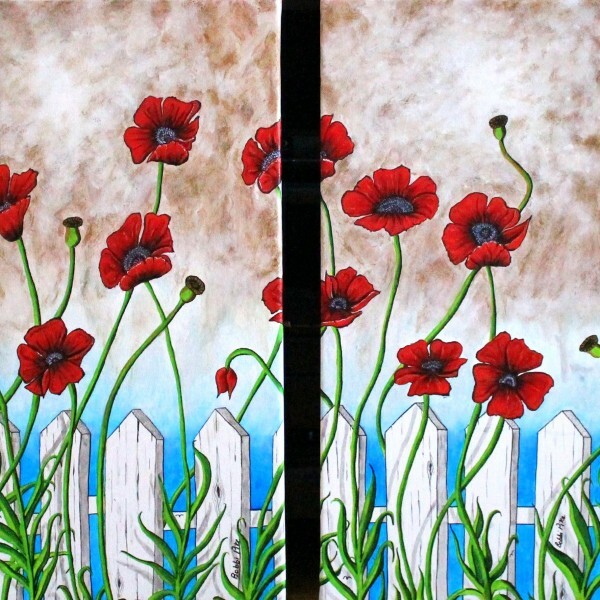 Nannies Poppies- The murky background represents the turmoil and hardship on the battlefield, the picket fence is current day and our normal lives, the blue skies is the promise of the peaceful future to come…for which we give thanks to all those who fought for our freedom. Lest we forget. Please, Never forget. ← Christmas VS. Remembrance Day? ?